Cagayan de Oro (Cebuano: Dakbayan sa Cagayan de Oro; Filipino: Lungsod ng Cagayan de Oro) is a first class highly urbanized city and the capital of the province of Misamis Oriental in the Philippines. It is a chartered city where governance is independent and separate from Misamis Oriental. It also serves as the regional center and business hub of Northern Mindanao (Region X), and part of the growing Metropolitan Cagayan de Oro area, which includes the city of El Salvador, the towns of Opol, Alubijid, Laguindingan, Gitagum at the western side, and the towns of Tagoloan, Villanueva, Jasaan, Claveria at the eastern side. The City of Cagayan de Oro is located along the north central coast of Mindanao island facing Macajalar Bay and is bordered by the municipalities of Opol to the west, Tagoloan to the east, and the provinces of Bukidnon and Lanao del Norte to the south of the city. According to the 2015 census, the city has a population of 675,950, making it the 10th most populous city in the Philippines. Cagayan de Oro is also famous for its white water rafting or kayaking adventures, one of the tourism activities being promoted along the Cagayan de Oro River. The name Cagayan de Oro (lit. River of Gold) can be traced back to the arrival of the Spanish Augustinian Recollect friars in 1622, the area around Himologan (now Huluga), was already known as "Cagayán". Early Spanish written documents in the 16th century already referred to the place as "Cagayán". The region of Northern Mindanao, which included Cagayan de Oro, was granted as Encomienda to a certain Don Juan Griego on January 25, 1571. It was then former Vice President of the Philippines Emmanuel Peláez who appended de Oro to Cagayan. There are also other places in the Philippines with the Cagayan name; these include the province of Cagayan in northern Luzon and the Cagayan islands in the Sulu Sea. The area was first inhabited around 377 C.E. (the late Neolithic period), island natives lived in a settlement then known as Himologan (now known as Huluga), eight kilometers from present-day Cagayan de Oro. The natives were polytheistic animists, Austronesian in origin with seafaring capabilities similar to the Badjaos. Their customs were closely related to the prosperous Rajahnate of Butuan with rich Sri Vijayan (Visayan) and Indian culture. They also wore tribal and traditional costumes and dressings having similarities to those found in Bali, Indonesia. Ceramics have been found in the area; Chinese probably having visited from the period of the Song to Ming dynasties. It was also possibly an old thriving port of the Srivijaya Empire with an overseas trading link to China, India and even to America. In 1622, two Spanish Augustinian Recollect missionaries came in contact with the natives of Himologan and in 1626, Fray Agustín de San Pedro persuaded the chief of Himologan, Datu Salangsang, to transfer his settlement down the Cagayan River, to the present-day Gaston Park. De San Pedro later fortified the new settlement against Sultan Kudarat's raiders. In 1738, Spanish dominance was felt in Cagayan de Oro. When Misamis gained the status of province in 1818, one of its four districts was the Partidos de Cagayan. In 1871, the "Partidos" became a town and was made a permanent capital of Misamis. 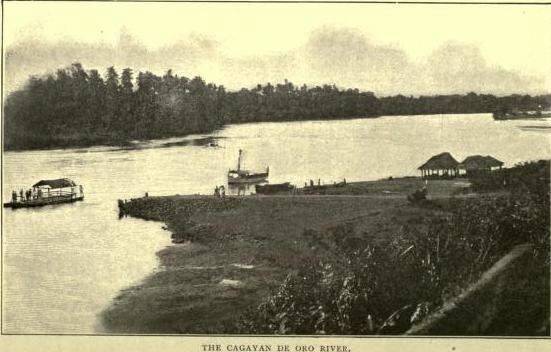 On February 27, 1872, Governor-General Carlos María de La Torre issued a decree declaring Cagayan the permanent capital of Segundo Distrito de Misamis. During this era, the name of the town was known as Cagayan de Misamis. In 1883, the town became a seat of the Spanish government in Mindanao for the provinces of Misamis Oriental, Misamis Occidental, Bukidnon and Lanao del Norte. On January 10, 1899, Cagayan de Misamis joined the government of Emilio Aguinaldo and celebrated its independence from Spain. It was the second time the Aguinaldo government was declared and the new Philippine flag raised on the Mindanao island. By virtue of the 1898 Treaty of Paris, Spain ceded the Philippines to the United States; this caused friction and resulted in the Philippine-American War. On March 31, 1900, Americans occupied the town of Cagayan de Misamis and on April 7, 1900, a battle erupted in the town center led by General Nicolas Capistrano and Filipino resistance fighters. This would later become known as the Battle of Cagayan de Misamis. The Americans won the war, and about forty years later, gave the Philippines its independence on July 4, 1946. The war years in Cagayan de Oro were prompted by the presence of the Americans in 1898. The Americans were initially and successfully repulsed by the Kagay-anons forces led by Mayor Don Apolinar Vélez at the historic Battle of Makahambus on June 4, 1900. After the troubled years, peace finally brought back the economic activities to normality under the guidance of the United States. Consequently, from a purely farming-fishing area, Cagayan de Oro emerged into a booming commerce and trade center. In 1948, the barrios of El Salvador and Molugan with their sitios known as Sala, Sambulawan, Sinaloc, Lagtang, Talaba, Kalabaylabay and Hinigdaan were separated from Cagayan de Oro to form the town of El Salvador. In 1950, the barrios of Opol, Igpit, and lower Iponan were separated from Cagayan de Oro to form the town of Opol. On June 15, 1950, President Elpidio Quirino signed Republic Act No. 521, which granted the status of a chartered city to the Municipality of Cagayan de Misamis. This was made possible through the efforts of then Cagayan de Oro Congressman Emmanuel Pelaez. Cagayan de Oro was then declared a highly urbanized city by the Ministry of Local Government on November 22, 1983. On the evening of December 16–17, 2011, Tropical Storm Sendong (international name Washi) caused widespread flash flooding in Northern Mindanao. In Cagayan de Oro, hundreds living near the banks of the Cagayan de Oro River were killed, with hundreds still missing. Officials said that despite government warning, some people did not evacuate. 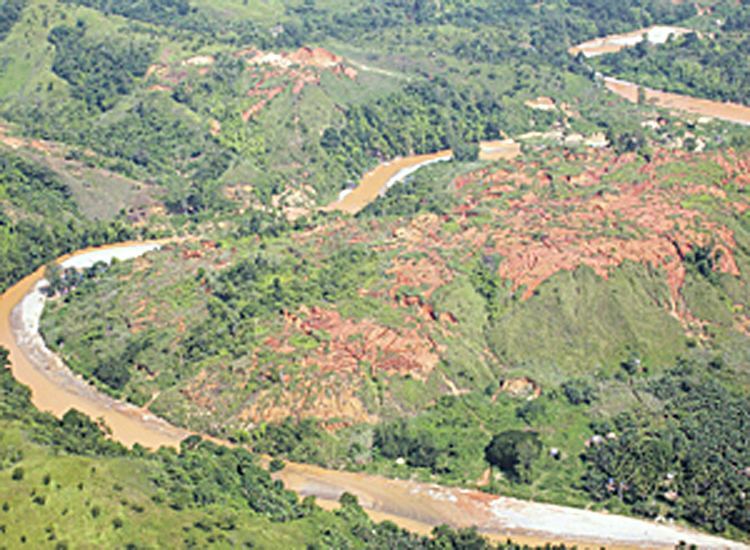 Five people were killed in a landslide, while others died in the flash floods which occurred overnight, following 10 hours of rain, compounded by overflowing rivers and tributaries. Most of the victims had been sleeping. In some areas, up to 20 centimeters of rain fell in 24 hours. More than 2,000 were rescued, according to the Armed Forces of the Philippines (AFP), and at least 20,000 people were staying in 10 evacuation centers in Cagayan de Oro. Officials were also investigating reports that an entire village was swept away. The confirmed death toll from the disaster is 1,268. In January 2017, Cagayan de Oro, along with other parts of Visayas and Mindanao, was impacted by a combination of a low-pressure area and the tail-end of a cold front. The heavy rain inundated many streets, stranding many commuters. At the University of Science and Technology of Southern Philippines (USTP), about 900-1,000 students were trapped as most of their campus was flooded. The students were forced to climb to the upper floors of the school's buildings and wait until rescue arrived. The city's shopping malls on Claro M. Recto Avenue were also severely affected, with Limketkai Center completely inundated by the floodwaters. A basement parking area of a mall at the corner of Corrales St. was covered with water, while another one near Bitan-ag Creek was flooded as well, even though the area was elevated. Cagayan de Oro is located along the north central coast of Mindanao, the second-largest island in the Philippine archipelago. The southern part of the city is bordered by the provinces of Bukidnon and Lanao del Norte. The municipality of Opol borders the city on the west and Tagoloan, Misamis Oriental to the east. To the north lies Macajalar Bay facing the Bohol Sea. Its total land area is 488.86 km² representing 13.9 percent of the entire Misamis Oriental province. It includes 25 kilometers of coastline and a harbor, Macajalar Bay. 44.7 percent of Cagayan de Oro is classified as agricultural land, while 38.4 percent is classified as open spaces. The city is frequently categorized and referenced according to geographic factors: the 1st District (west of the Cagayan River) consisting of 24 barangays which are mostly suburban, and the 2nd District (east of the river), made up of 17 barangays, including city proper barangays numbering from 1-40. Under the Köppen climate classification system, Cagayan de Oro has a tropical climate with an annual average temperature of 28 °C. In June 1998, the city recorded its highest temperature to date of 39 °C. Cagayan de Oro does not receive an even amount of rainfall throughout the year. The driest months are March and April while August and September are the wettest months. The rainy or wet season lasts from June until November with the relatively drier seasons lasting from December until May. The city lies outside the typhoon belt but is affected by the Inter-Tropical Convergence Zone. As of the 2015 census, the city has a population of 675,950, making it the 10th most populous city in the Philippines and 3rd most populous in Mindanao after Zamboanga City. About 44 percent of the household population in Cagayan de Oro classified themselves as ethnically mixed people, 22.15 percent as Cebuano, 4.38 percent as Boholano, while 28.07 percent as other ethnic groups. (2000 Census). Roman Catholicism is the city's dominant religion, represented by almost 80 percent of the population. Other religious affiliations include the Seventh-day Adventist Church, Iglesia ni Cristo, the Philippine Independent Church, the United Church of Christ in the Philippines, Christ's Commission Fellowship, Baptists, the United Methodist Church, Jesus Miracle Crusade, and Islam. The Archdiocese of Cagayan de Oro comprises the three civil provinces of Misamis Oriental, Bukidnon, Camiguin and the entire Caraga region. It is a metropolitan seat on the island of Mindanao. The current archbishop in Cagayan de Oro is Most Reverend Antonio J. Ledesma, S.J., D.D. , who was installed on March 4, 2006, and his seat is located at St. Augustine Metropolitan Cathedral. Recently, the Basilica of the Black Nazarene in Quiapo Church decided to move the replica statue of the Black Nazarene to Jesus Nazareno Parish Church in Cagayan de Oro along Claro M. Recto Avenue, so that the Black Nazarene devotees from Mindanao do not have to travel to Quiapo in Manila for their annual pilgrimage. Protestant missionary activity in the city started in 1916, although have grown in numbers in the recent decades. One of the known Protestant groups in the city is Pentecostalism, which dramatically increased with 2.8 percent in total population About 20 churches have settled in the metropolitan area. Celebration International Church has one of the highest member attendances with a record of 735 members. In addition, three main Pentecostal mother churches are situated in the suburban area and few in the metropolitan areas. Also, Adventists, Mormons, and Methodists have also grown in numbers within the suburban areas. Islam is practiced mainly by Maranao settlers and the Balik Islam members. There are several large mosques and about 50 small mosques that can be found in the city. Masjid Sharif Alawi in Barangay Balulang is the largest mosque in Northern Mindanao, with over 3,200 square meters in land area, which also includes a madrasa and seminar building. Buddhism and Taoism are practiced by majority of local Chinese. Mindanao Cebuano is primarily the spoken language in the city. Tagalog (Filipino) serves as the city's secondary language. English is mainly used for business and in the academe. Maranao is widely spoken within Maranao communities in the city. Cagayan de Oro is the melting pot of Mindanao because of its accessibility, business growth, attractions and its warm and hospitable people. Being the regional center and logistics and business hub of Northern Mindanao, the city is one of the most progressive and competitive cities in the Philippines. Cagayan de Oro due to its strategic location prompted Pilipinas Shell Petroleum Corporation to put up its multi-billion peso fuel import facility, dubbed as the North Mindanao Import Facility (NMIF) to cater to the power and energy needs of millions of residents, motorists and other end-users and consumers in Visayas and Mindanao. The city's economy is largely based on industry, commerce, trade, service and tourism. Investment in Cagayan de Oro City for the first six months of 2012 reached 7.4 billion pesos outpacing the local government's expectation of to nearly 100 percent. Investments in the city are dominated by malls, high-rise hotels and condominiums and convention centers. The net income for 2012 pegged at 2,041,036,807.89 billion pesos. 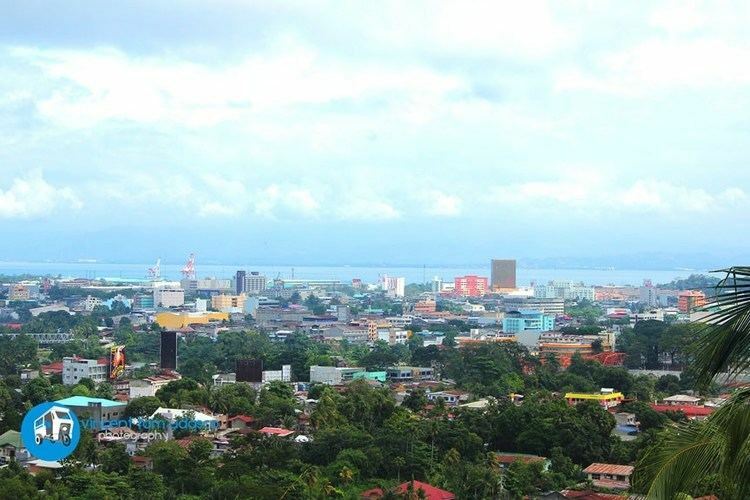 In 2012, the US Agency for International Development (USAID) chose Cagayan de Oro as one of three pilot areas in the country for its Cities Development Initiative. USAID's projects under the USAID’s Cities Development Initiative (CDI) are the Strengthening Urban Resilience for Growth with Equity (SURGE) project aims to help cities to plan better, create more attractive and competitive business environments, link urban and rural centers so that more citizens benefit from rapid economic activity, and provide adequate health and other basic social services; The INVEST Project, a three-year initiative of the USAID; Building Low Emission Alternatives to Develop Economic Resilience and Sustainability or B-LEADEARS project. CDI aims to enhance the city’s business permits and licensing system as an engine for sustainable economic growth. Cagayan de Oro is the home of multinational companies, like Del Monte, Nestle, Liwayway Marketing Corporation (goes by a more well-known name, Oishi), Unipace Corporation (a multi-national company carrying the Gaisano Group), Philip Morris Fortune Tobacco Inc. (PMFTC), Madison Shopping and Supervalue, Inc. (runs all SM Malls and Savemore Supermarkets and also into heavy manufacturing and distribution). Cagayan de Oro, as the regional economic center of Northern Mindanao, houses the Cagayan de Oro Branch of the Bangko Sentral ng Pilipinas (Central Bank of the Philippines). As of June 2016, at least 70 banks are operating in the city. Cagayan de Oro has been dubbed as the auto-hub in Mindanao as world-renowned car brands like Toyota, Honda, Nissan, Isuzu, Mitsubishi, Suzuki, Ford, Kia, Foton, Mazda, Chevrolet, BMW, Peugeot, Hyundai, Subaru, Chery, Jinbei and Tata have set up dealerships in the city. Most of the car showrooms are located along the Iligan-Cagayan de Oro-Butuan Road. Auto Hardware and car accessory stores for all types of cars and vehicles are abounding in Cagayan de Oro. A long stretch of auto hardware stores for parts and supplies are located along Osmeňa Street. Cagayan de Oro boasts of a very healthy retail and residential market. National and International companies have started building high-rise and mid-rise hotels and condominiums such as Limketkai Luxe Hotel, Seda Hotel, New Dawn Pensionne, Centrio Tower and Aspira Towers under Avida Residences, Primavera Residences under ItalPinas Corp., The Loop under Vista Residences, MesaVerte Residences under Cebu Landmasters Inc (CLI), Tucania Towers, One Providence, One Oasis under Filinvest Land Inc.
Major real estate developers in Cagayan de Oro are Ayala Land, A Brown Inc. (Xavier Estates), Camella, Crown Asia, Johndorf Ventures Corp., Pueblo de Oro, Robinsons Home Inc., Land Asia Realty and Development Corp (Zealep and Tuscania), Liberty Land Corp., Filinvest Land Inc., Cebu Landmasters Inc. and Megaworld. The newest to join these is Bria which develops the socialized housing brand Lumina Homes and the economic low-rise condominium Bria Flats. Shopping malls, hypermarkets, stand-alone department stores, large grocery stores, 24-hour convenience stores (25 outlets of 7-Eleven, several local stores of Chams and Grams, Mercury Drug and Rose Pharmacy convenience stores), offering local and imported products, owned by local, national and foreign Chinese, Taiwanese, and Korean businessmen, are abounding in the City. Gas refilling stations as sub-sector of retail are all over the City. These are distributed by Shell, Caltex, Petron, Blu Energy, Phoenix, Jetti, and Geo Gas. Business process outsourcing (BPO) in Cagayan de Oro is booming due to ample supply of human capital supported by available health, research, educational, and modern telecommunication facilities. At present, business process operators in the city are Concentrix Corporation, a global knowledge process outsourcing company and wholly owned subsidiary of SYNNEX Corporation; Rider Livett Bucknall (RLB), a company which provides quantity surveying, project/construction management, and advisory services for BPOs which established its office in Cagayan de Oro in 2015; Teleperformance, the world’s leading provider of outsourced omnichannel customer experience management services; AZPIRED, a world-class outsourcing service center with a number of locations in the Philippines including three offices in Cebu, it specializes in Inbound Customer Service, Technical Support, and Accounting Services; Envizion, an online tutorial services center; ArribaTel, a global outsource industry since 2005; Paramedix (a medical transcription company); FBC Business Solutions; and Versatel, an English language training center. Cagayan de Oro is home to successful cooperatives which provide employment, economic assistance, and considered as one of the prime drivers of the City's economy. The Extension Office of Cooperative Development Authority of the Philippines, located in the City as the center of Northern Mindanao (Region X), provides technical advisory services, regulatory services, and online application processing. It is also the location of MASS-SPEC (the Cooperative Development Center, a federation of cooperatives in the Philippines). The big names of Cooperatives located in CDO are FICCO which has become a billionaire cooperative covering the entire of Mindanao, Oro Integrated Cooperative (constituting a development force of more than 100,000 strong members of farmers, fisherfolk, women, workers, vendors, drivers, government employees scattered in Cagayan de Oro and the provinces of Misamis Oriental, Bukidnon and Tagbilaran City who are now engaged in small and micro enterprises), ACDI Multipurpose Cooperative (preferred brand of Financial Services in the Armed Forces of the Philippines), Asian Business Cabletow Cooperative Academy (ABCCA), Inc. (provides access to and quality of education for the less-privileged students), CFI Community Cooperative, Coop-Life Mutual Benefit Services (CLIMBS, Life and General Insurance Cooperative owned by over 2000 cooperatives in the Philippines since 1971), Oro Savings & Sharing Cooperative, Cooperative Bank of Misamis Oriental (with 268 Cooperatives and Samahang Nayon as member-incorporators). There are several notable events in the city. Each barangay or barrio has its own feast locally known as Fiesta (or festivals) honoring their patron saints after achieving recognition in their own rights. The Higalaay Festival (formerly the Kagay-an Festival, then the Higalaay Kagay-an Festival) is a week-long celebration in honor of Cagayan de Oro's patron saint St. Augustine held every August. Highlights of the Higalaay Festival are the Kahimunan Trade Fair, which features the native products of the city and province, particularly agricultural, Miss Cagayan de Oro, Folkloric Street Dancing Competition featuring colorful attires and cultural dances of the Higaonon tribes, Higalas Parade of Cagayan de Oro Icons and Floats, Halad sa Lambagohan, PE Rhythmic Dance Competition, Kalo Festival and Kumbira, a culinary show and exhibit that started in 1996 by Kagay-anons hoteliers and restaurants. It has since evolved over the years and now hosts a culinary competition among students and professionals from all over Mindanao. The competition is divided into students and professionals where hotel and restaurant management schools and professional chefs compete against each other in their respective categories. There are also cultural shows, competitions and celebrity concerts. In more recent years, some of these competitions have been replaced with new ones, such as the Folkloric Street Dancing Competition, which was replaced by the Cagayan de Oro Carnival Parade in 2014. The annual religious tradition of the Feast of the Black Nazarene in Cagayan de Oro City is held every January 9 by having a procession called “Traslacion” in which hundreds of thousands of devotees participate. Cagayan de Oro is one of only three sites in the country to have this ‘Traslacion’. "Himugso", which means birth, is a week-long celebration of Cagayan de Oro's Charter Day and Philippine Independence Day. Cagayan de Oro's cityhood was established on June 15, 1950. Independence Day is the national commemoration of the Philippine Declaration of Independence from Spain on June 12, 1898. Both Charter Day and Independence day are non-working holidays and a roster of special activities is lined up annually to mark the dual special occasion. RODELSA Hall, operated by Liceo de Cagayan University, serves as a center for the performing arts and as a vehicle for all intellectual and artistic forms of humanities' gifts. Concerts of many genres have been performed at RODELSA. Cine Europa (films) featuring European Union's cultures which include Austria, Belgium, Bulgaria, Czech Republic, Denmark, Finland, France, Germany, Hungary, Italy, Netherlands, Norway, Poland, Romania were shown at RODELSA. Xavier Center for Culture and the Arts (XCCA) creates, delivers, strategizes, manages, and implements culture and arts programs (Filipino and Foreign, Classical and Contemporary) as part of the social outreach and formation framework of Xavier University. 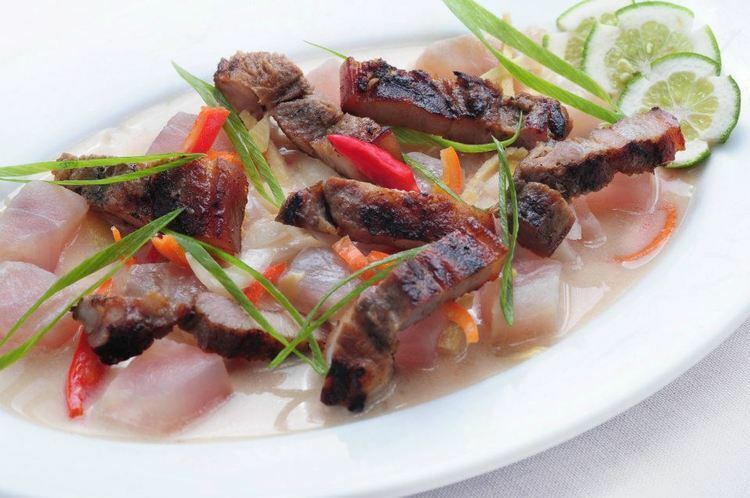 Cagayan de Oro food cultures include a variety of world cuisines influenced by the city's immigrant history. Western and Austronesian immigrants have made the city famous for pastel bread, chicharrón and Hamon de Cagayan. Some mobile food vendors licensed by the city sell street food like kwek-kwek, fish balls, tempura and proven and grilled meat. Cagayan de Oro boasts of local, national, and foreign owned restaurants (Chinese and Korean cuisines), eateries, fast-foods, snack bars, bakeshops, and coffee shops that sprout all over the city. Cagayan de Oro is the home of the Cagayan de Oro Stars and Cagayan de Oro Rapids basketball teams. This major teams of the city is member community of Mindanao Visayas Basketball Association, an amateur commercial basketball league in southern Philippines sanctioned by the country's National Sports Association for basketball, the Samahang Basketbol ng Pilipinas (SBP). It is also the home of "Holcim MoneyGram-Misamis Oriental" and "Holcim Pryce Pharma", which commencing the Misamis Oriental province. Aside from basketball, Cagayan de Oro is known for its oldest lawn tennis clubs like the "Golden Friendship Tennis Club". In addition, the city is ornamented with amateur volleyball teams like the Xavier University Volleyball Team. The city was known for its leading sport, chess, one of the most common recreations by continuing championships in Mindanao since the 1990s. White water rafting and kayaking have annual sport events through the Cagayan River. Sport venues include one of the biggest sports complex in Mindanao the Pelaez Memorial Sports Center, Xavier University-Ateneo de Cagayan Gymnasium, Liceo Civic Center and others, a sports and entertainment complex that also hosts concerts. The Pelaez Memorial Sports Center serves as the home complex of Misamis Oriental sports teams. Cagayan de Oro's new indoor sport is go kart. The Speed Master Go Kart Race Track at SM City Carpark Building was the first race track in the city and in Mindanao. F1 Go Karts will be the second facility of its kind in the city and the first to use electric cars which are much quieter and better for the environment. The go karts are also easier to handle and faster. Due to the national government's aggressive tourism campaign, local and foreign tourist arrivals in the city are on the rise. In 2004, the city registered a tourist arrival of 307,820; an increase from a previous of 232,257 in 2003. City Archives Museum is a museum located inside the Old Water Tower built around 1922, near St. Augustine Cathedral and across from Gaston Park. Recently, it was upgraded into a museum that houses antiquities, memorabilia of well-known families in the city and a gallery parade of Cagayan de Oro history. Gen. MacArthur Memorial Marker is a historical marker located near the Port of Cagayan de Oro; the monument commemorates two historical events. Museo de Oro is a museum located within the main campus of Xavier University - Ateneo de Cagayan. The museum exhibits artifacts dug from Huluga Caves and repertoire of Bukidnon, and the Maranao cultures that have survived the ravages of time. Museum of Three Cultures is a museum of Capitol University. It houses a gallery of Maranao antiquities from Tugaya, Lanao del Sur; a gallery of ethno history which shall display Cagayan de Oro history, Butuan archaeological artifacts, lumad arts and crafts from the Higaonon and Manobo cultures, and a treasure of Christians lowland artifacts of Northern Mindanao region; and finally an art gallery and coffee shop that promotes the local visual arts of Mindanao. It also has a research archives that will house Spanish era written documents, photographs, memorabilia of well-known personalities in Mindanao, which is open to all researchers and students of culture. La Castilla is a museum of the Philippine household heirlooms and antiques. This is the Peláez family memorabilia administered by the Liceo de Cagayan University. DXCC Museum is a museum of a well-known radio broadcasting station in the Philippines called RMN-DXCC located at Don Apolinar Velez street. Executive Building (Old City Hall) used to be known as Casa Real de Cagayán, it was a former Spanish Governors' residence and seat of present-day local government officials. MOGCHS Administration Building was part of the 1907 Gabaldon initiatives to established and build public schools all over the Philippines under the Americans regime. Casa del Chino Ygua (Balay na Bato) was built in 1882 by the Sia family; they were the first Chinese migrants in Cagayan de Oro. Most of the revolutionaries died and buried behind the house during the Philippine-American War. Makahambus Cave and Adventure Park is an underground cave with a 130-foot (40 m) circular gorge. The ravine is thick with various species of plants and huge trees. It is the site of the historic Battle of Makahambus Hill between Kagay-anons and American soldiers during the Philippine-American War circa 1900's . Huluga Caves. is an archaeological site in Sitio Taguanao, barangay Indahag. Huluga Caves is composed of an open site and two caves where skeletal remains of a child and woman were found. A fragment of the woman's skull was 377 A.D. by the Scripps Institution of Oceanography in La Jolla, California, United States. The open site is the venue of a prehistoric settlement. Recent data from the Department of Tourism show that Cagayan de Oro is among the top 20 most visited tourist destinations in the country. As a result, international hotel chains are attracted to put up their hotel accommodations in or near the city. Drive-in motels are also available in the city and these are mostly located in Kauswagan. Ororama Mega center dubbed as the first mall in the city. Unfortunately, the building got into a fire accident. The management deemed necessary to demolish. This was then replace by Pure Gold which is a supermarket mall where you can buy groceries in bulk and it also sell furniture and clothes for cheaper price. Gaisano City Mall is one of the oldest Gaisano mall in the Philippines. It was owned and operated by Unipace Corporation, a shopping mall chain in Northern Mindanao. They operated the following Gaisano branches: CM Recto Avenue, Cagayan de Oro Main; Barrio Gaisano in Cogon, CDO; Osmeña in Cogon, CDO; Carmen, CDO; Puerto, CDO; Bulua, CDO; two in Iligan; Malaybalay; Valencia and Butuan. Gaisano City Mall are currently having facelift to compete with other malls. The management started to improve the interior of the mall. Today, they are slowly starting to improve the facade. Gaisano City Mall anchors Gaisano supermarket, Gaisano Department store, Gaisano Hardware and many more. It is also have 2 food court, 4 cinemas and arcade. Centrio an Ayala mall is the ultimate convergence center of residents and tourists. Its unique mix of first-in-CDO retail brands, international and national brands. It follows the concept of "shop, dine, live, work and play". The integrated mixed-use complex and the home of Rustan's Fresh biggest Rustan's supermarket in the country, Robinsons Store two-level Department Store, H & M Hennes & Mauritz AB STORE a Swedish multinational clothing-retail company, and many more. Aside from Malls, Part of the complex are Centrio Tower is a 23-storey condominium tower, Seda Hotel a business hotel, and Centrio Corporate office a BPO office of Teleperformance Cagayan de Oro. SM City Cagayan de Oro a mall designed for uptown shoppers. It started it's operation on November 15, 2002. The operation also opened the eye of other industry to invest in the city. SM CDO Downtown Premier is a new Mall complex and considered the biggest mall in Mindanao. It has 5th floors and glass elevator with world-class rainwater catchment basin. The grand inauguration was on May 12, 2017. It was designed by DSGN Associates, an award-winning architectural firm based in Texas, United States. The mall anchors stores like The SM Store with three levels of shopping space, SM Supermarket, SM Bowling, and SM Cinemas, with seven theaters (one theater with MEGA SCREEN and 2 Director's Cut theater). It has service centers, specialty stores and restaurants and indoor parking spaces. Famous international stores are Forever 21, UNIQLO and many more. The BPO tower is a 12-storey building with 8 levels of office spaces for BPO companies. The BPO tower is still under construction is scheduled to be completed in September 2017. As the gateway to Northern Mindanao and the rest of Mindanao, Cagayan de Oro is very accessible via land, air and water transportation. Main public transportation systems within the City are metered taxis, jeepneys with fixed routes, and motorelaswithin poblacion. There are also a couple of river taxis that ply down to the Cagayan de Oro River for both locals and tourists. No one can deny that Cagayan de Oro is Mindanao's hub. The Port of Cagayan de Oro in Macabalan is located near the estuary of the Cagayan de Oro River. It has an anchorage depth of 18 meters and is around 400 meters from the shoreline. It has two authorized cargo-handling operators. With the recent completion of the P250 million rehabilitation project, the port is now the biggest international and domestic seaport in Mindanao. It handled 1.399 million metric tons of cargoes during the first quarter of 2016 to rank 3rd in the country after Manila's North Harbor with 5.557 million metric tons and MICT with 3.746 million metric tons. The Port of Cagayan de Oro increased its volume of cargoes by 9.7% from 2015. This is according to data from the Philippine Ports Authority (PPA). The Port of Cagayan de Oro (Macabalan Port) serves regular trips to and from cities of Metro Manila, Cebu City, Tagbilaran, Bacolod, Dumaguete, Iloilo City and Jagna, Bohol. General Milling and Del Monte Philippines also operate their own port facilities within Cagayan de Oro. The $85 million Mindanao International Container Port located in nearby town Tagoloan 17 kilometers from Cagayan de Oro serves the PHIVIDEC Industrial Estate. This city's sub-port connects Mindanao to the ports of major cities in Visayas, Batangas, Metro Manila and the rest of the world. Laguindingan Airport handles domestic flights to and from Manila, Cebu City, Iloilo City, Davao City, Bacolod, Dumaguete and Tagbilaran. It sits on a 4.17 square kilometres (1.61 sq mi) site in Barangay Moog, Laguindingan, Misamis Oriental, some 46 kilometres (29 mi) northwest of Cagayan de Oro. The airport was inaugurated on January 11, 2006 by then President Gloria Macapagal-Arroyo, who advocated the idea of an international airport along the Cagayan de Oro-Iligan Corridor, and was officially opened on June 15, 2013. Laguindingan Airport, one of the national government's flagship projects to boost the nation's tourism industry, is destined to become an international airport serving Northern Mindanao and Lanao del Sur. Laguindingan Airport is accessible by various modes of transportation provided by several transport operators from CDO and vice versa. These are ALPHAT Airport metered yellow taxi, regular metered taxi, and several shuttle express vans that run on an hourly basis (Magnum Express with its terminal at Limketkai, LAX Shuttle with its terminal at Ayala Centrio, CAGATRANSCO, Glorymer Transport, Donsals Express, JTS, The Lord’s Transport Services, Europcar, Super 5, CDOTRANSCO, Numano Express). All have booths near the parking area at Laguindingan Airport. There are two bus terminals in the City: The Eastbound Integrated Bus Terminal also known as MARKET CITY and The Westbound Integrate Bus and Jeepney Termminal. The Eastbound integrated Bus Terminal (Agora) also known as MARKET CITY offers a regular landtrips to and from eastern municipalities of Misamis Oriental or eastern part of Mindanao including Balingoan and Gingoog, Carmen (proposed), Nasipit, Butuan (change buses travel to Surigao City), Bukidnon including Central or Southern portion of Mindanao such us Malaybalay and Valencia, Davao City, Kabacan, Tacurong and General Santos. MARKET CITY formerly called as Agora Public Terminal and Market also one of cleanest public market in the country, also home of SM SAVEMORE Market Agora, Social Security System office, Win Min Transient Inn and many more. The Westbound Integrated Bus and Jeepney Terminal also has regular land trips to and from western municipalities of Misamis Oriental or Western part of Mindanao including El Salvador and Laguindingan, Iligan, Marawi, Tangub, Ozamiz, Dapitan, Dipolog, and the rest of Zamboanga Peninsula including Pagadian and Zamboanga City. Water services are provided by the Cagayan de Oro Water District (COWD), the first water district established in the entire Philippines. The Bulk Water Supply, a supply agreement between COWD and the contractor, has a total production capacity of 198,262 cumpd., and comes from treated water from Cagayan de Oro river, the main water source of the city. Electricity in the city is provided mainly by Cagayan Electric Power and Light Company (CEPALCO) and partly by Misamis Oriental 1st Rural Electric Service Cooperative (MORESCO-1). Cagayan Electric Power and Light Company (CEPALCO). CEPALCO, which began operations in 1952, covers almost all of Cagayan de Oro and the Municipalities of Tagoloan, Villanueva and Jasaan, all in the Province of Misamis Oriental, including the 3,000-hectare PHIVIDEC Industrial Estate and caters to more than 100,000 consumers. The company's distribution system network includes 138,000 volt, 69,000 volt, 34,500 volt and 13,800 volt systems. CEPALCO is also operating the developing world's first and largest (at the time of its inauguration in 2004) on-grid solar photovoltaic power plant. The 1-megawatt polycrystalline silicon-based photovoltaic (PV) plant in Barangay Indahag of this city is connected with the distribution network of CEPALCO. It is the biggest solar power plant connected to the power grid in Southeast Asia. Misamis Oriental -1 Rural Electric Service Cooperative (MORESCO-1) whose office is located in Laguindingan covers remote parts of Cagayan de Oro. These are barangays Canitoan, Pagatpat, San Simon, and Baikingon. Telecommunications are provided by PLDT, Philcom, Misortel, Globe, Smart, and Sun. Cagayan de Oro is the regional base of Philippine Air Force, Philippine Army, and Philippine National Police in Northern Mindanao. The Philippine Army operates the largest military camp in Mindanao located in Barangay Patag with an area of 129 hectares. It is home to the 4th infantry division of the Philippine Army. Camp Evangelista's external jurisdiction covers the Northern Mindanao and Caraga regions. Minor military camps are also located in barangay Lumbia and upper Puerto. The Philippine National Police also operates its Regional Headquarters at Camp Alagar in Barangay Lapasan. Camp Alagar has jurisdiction over the entire Northern Mindanao, namely the Provinces of Bukidnon, Camiguin, Lanao del Norte, Misamis Occidental and Misamis Oriental including its major cities; Cagayan de Oro and Iligan. Cagayan de Oro is one of the three locations in the country where the Judiciary's Court of Appeals is holding office. The Court of Appeals of the Philippines is the Philippines' second-highest judicial court. Cagayan de Oro's Court of Appeals has 3 divisions covering all of Mindanao. Cagayan de Oro has a hospital bed-to-population ratio of 1:474 as of 2003. The Justiniano R. Borja Memorial Medical Hospital (formerly City Hospital), Puerto Community Hospital and Northern Mindanao Medical Center (formerly Provincial Hospital) are the three government-run hospitals. Capitol University Medical City, Polymedic General Hospital, Polymedic Medical Plaza, Maria Reyna–Xavier University Hospital, Cagayan de Oro Medical Center, Madonna and Child Hospital, Sabal Hospital and Maternity-Children's Hospital and Puericulture Center (formerly Oro Doctor's Hospital) are privately owned. Many of these government-owned and privately owned hospital facilities have undergone expansion, renovation and modernization. The City has four major private universities/colleges: Capitol University, Liceo de Cagayan University, Lourdes College Cagayan de Oro, and Xavier University – Ateneo de Cagayan. The University of Science and Technology of Southern Philippines the only state university in the city. Other higher education institutions include Southern Philippines College, Pilgrim Christian College, Cagayan de Oro College, St. Mary's Academy of Carmen run by the RVM Sisters, Informatics Computer Institute and STI College - Cagayan de Oro with a secondary education program in Barangay Kauswagan. There are also a number of foreign schools in the city with study programs. Notable public and private elementary and high schools include Cagayan de Oro National High School, Misamis Oriental General Comprehensive High School, Gusa Regional Science High School - X, City Central School, St. Mary's School, Corpus Christi School, The Abba's Orchard Montessori School, Merry Child School, International School, Vineyard International Polytechnic College, and Montessori de Oro. There are also schools in Cagayan de Oro that use the Accelerated Christian Education system. Two of these schools include Cavite Bible Baptist Academy-CDO branch, and Shekinah Glory Christian Academy. There are two Chinese schools in the city: Kong Hua School (Roman Catholic) and Oro Christian Grace School (an Evangelical Christian school). There are two international schools run by Koreans, namely: Nanuri International School and Immanuel Mission International School. Notable media publications in the city are the Mindanao Gold Star Daily, SunStar Cagayan de Oro, and Super Balita. Ang Katarungan is the city's major English-Cebuano language paper published since 1926. Brigada Newspaper Cagayan de Oro is the most popular newspaper company in the city. Mindanao Business Daily and BusinessWeek Mindanao are two business publications of BusinessWeek Mindanao Group of Publications. Elected and appointed public officials have governed Cagayan de Oro since June 15, 1950, with a strong mayor-council government. The city political government is composed of the mayor, vice mayor, two congressional districts representatives, sixteen councilors, one Sangguniang Kabataan (SK) Federation representative and an Association of Barangay Captains (ABC) representative. Each official is elected publicly to a three-year terms. Cagayan de Oro is politically subdivided into 80 barangays. These are grouped into two congressional districts, 24 barangays in the 1st district (West) and 56 barangays in the 2nd district (East), with the Cagayan de Oro River as the natural boundary. The city has a 57 urbanized barangays and 23 rural barangays all in all. Cagayan de Oro has sister cities worldwide including local, as classified by the city government.